Meet Josh, who studied Biomedicine here, and Jessy who studies Music! They have both been taking part in an outreach project called OxVlog. To the right are a couple of their videos which give an insight to life as a student here, both at Hugh's and the wider university! OxVlog is a university-wide project, so if you want more insight into Oxford, subscribe to their channel through this link! 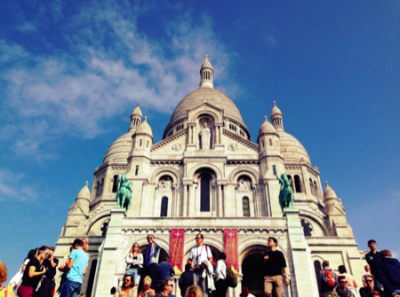 Une semaine dans la vie d'une Hughsie: A week in the life of a Hughsie abroad! My favourite way to start a Saturday morning is to go for a run along the Seine. There is always lots going on, and with so many people out running and brunching the atmosphere is fantastic. It’s always one of those moments when I have to pinch myself and remember how amazing it is that I can just wake up and run through one of the most beautiful cities in the world! Sunday morning starts slowly as all good Sundays do, and I head back down to the river to meet the girls for an exhibition at Jeu de Paume. It’s an exhibition called “Étonnez-moi” and is a celebration of the work of Philippe Halsman. after a few hours of immersed in 1950s glamour we head off to get a cup of coffee and make plans for the week ahead. I’m in a great mood after a brilliant concert and though Tuesdays are always busy lecture-wise, I’m pleased with how five hours of medieval French lectures seem less and less daunting, and how I understand more every week. My tutors are all really nice, and the seminars are particularly interesting. As an Erasmus student you can pick from every module offered at the university, so I’m trying everything from anthropology to phonetics. Fridays are often quiet, so I spent some time in central paris in the morning. In the afternoon I skyped my parents and some friends from college, did some uni work and went to the bakery around the corner for my lunch. At around 6 I start getting ready to go to my friend’s house in the Marais for dinner before heading out on Île Saint-Louis. 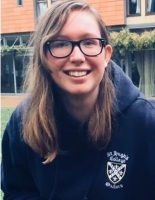 Meet Liv, a third year modern languages student. 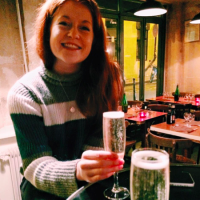 She is currently on her year abroad in Paris, so we thought it would be good to give you an idea of what an Oxford student can do on their year abroad! Learn more about Oxford life! Target Schools brings students from across the UK to Oxford to shadow an undergraduate for the morning, followed by having lunch and a tour in an Oxford college, finishing with a workshop on Oxford. The programme also heads out on Roadshows each year - this year they are heading to Kent and South Yorkshire. 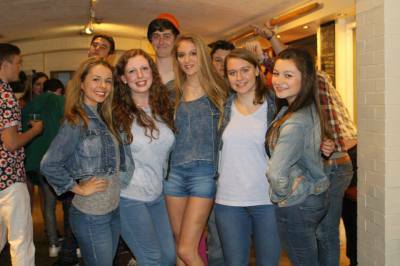 Currently, there are a number of St Hugh's students involved with the project, both on the committee and as volunteers. 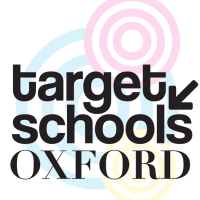 For info on Target Schools, click here. UNIQ is Oxford University's Summer School. 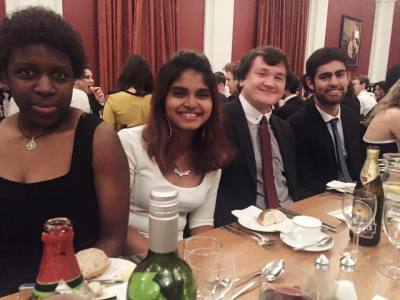 Each year it welcomes around 875 students to take part in especially made programmes for subjects from Oriental studies to Law. It is a great opportunity for those at the end of year 12 to see what Oxford is really like and is certainly recommended by us! Over the years, many St Hugh's students have been mentors on the summer school too. 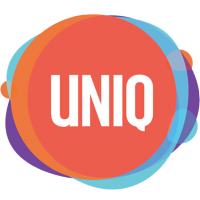 For more info on UNIQ, click here. 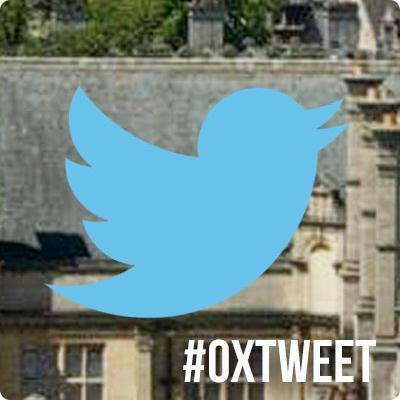 OxTweet is a project run by current undergrads, bring the student experience to you through tweeting about their daily lives. If you want the inside scoop on students from a number of walks of life while studying a number of different subjects, search #oxtweet on twitter and add a subject for a student who studies the course you are interested in! Otherwise, the Oxford Univeristy Student Union has an incredible online alternative prospectus. You should head here if you haven't seen it to learn about all the sports, societies, colleges and other things Oxford has to offer. Follow this link to make it there! There are lots of Oxford traditions that you will come across at Oxford. The following gives you all you need to know about Oxford's traditions, with some videos and pics to give you a taste! This the ceremony that marks the joinging of each student as a member of the University of Oxford. The ceremony lasts about 15 minutes in the Sheldonian Theatre in central Oxford. After this, new students tend to enjoy a day exploring the bars of Oxford… Matriculation occurs the Saturday after Fresher’s week. Oxford uses some peculiar language. Here The first term of the year is named Michaelmas, the second term is called Hilary, while the third and final term of the year is referred to as Trinity. The university adopts a system whereby the weeks of term are numbered. Term officially starts in 1st week, but students are expected to move in during 0th week, while the week before has been called by some ‘-1st week’. So when you get to Oxford, you’ll find yourself mentioning Wednesday of 5th instead of Wednesday the 20th of May. A formal is a sit down three-course meal. They are a really good opportunity to gather a group of friends for some downtime and high quality food. We usually have one each week at St. Hugh’s, at the impressive cost of £9. The 1st of May is quite a big occasion in Oxford. Students often opt to welcome in the new month by heading out for an all-nighter in the City on the 30th of April, with most managing to stay out until dawn. At 0600, Magdalen College choir sing at the top of the college’s tower. The songs ring out across the area where around 5,000 people gathered in 2015. It is an experience not to be missed! Bops are parties that happen in the college bar. They Bring out questionable dance moves, but importabtly are occassions to get to know other people in college you may not have spoken to before. They are usually themed, hence the interesting costumes to the right and above! Another thing not to be missed while studying at Oxford is getting down to the Thames to watch the famous Boat Race. Oxford vs Cambridge. Dark Blues vs Light Blues. Most universities do not have as impressive a varsity matchup, so we are lucky to have days like this!